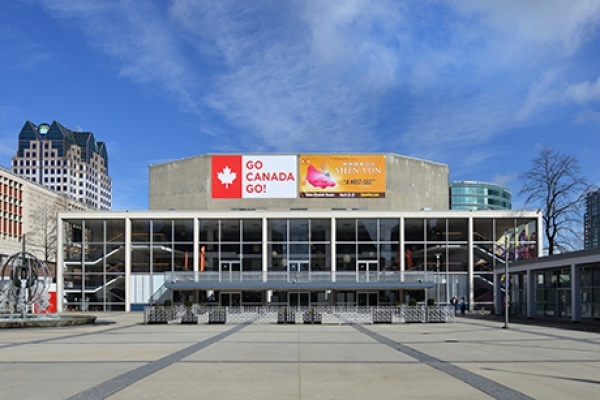 The Queen Elizabeth Theatre is one of Canada’s largest proscenium theatres with 2,765 seats. Recently refurbished, the theatre hosts opera, Broadway, music, presentations, and a broad spectrum of entertainment shows. The QE Theatre is located in downtown Vancouver. Wheel Chair Accesable to orchestra and mazannine levels. Late comers maybe seated in between programs. For those requiring hearing assistance, complimentary receivers for the Sennheiser Infrared Transmission System are available at no charge at the Lobby Coat Check. Quantities are limited. A valid driverÃƒÂ¢Ã‚Â€Ã‚Â™s licence or credit card is required. Lastly, binoculars may be rented at the Main Lobby Coat Check.